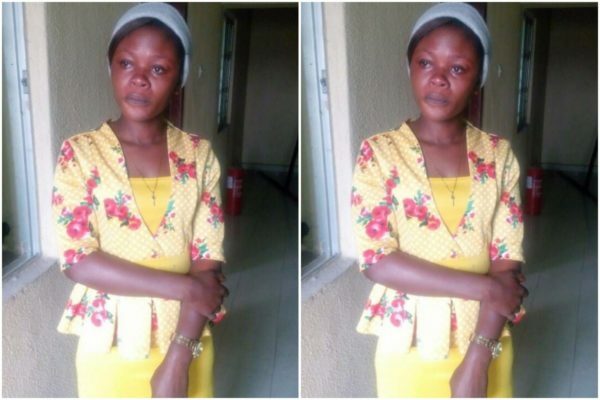 A young 23 year old mother by name, Esther Ita Udoakang has been sentenced to 2 years imprisonment by a court for allegedly selling her day-old baby. This was made public in a statement issued by Nneka Aniagoh, Head, Press and Public Relations of NAPTIP. “The National Agency for the Prohibition of Trafficking in Persons (NAPTIP) has secured another conviction as 23-year-old Esther Ita Udoakang gets sentenced to two years imprisonment for child trafficking’. This coming after a grandma and her daughter have been arrested after they sold a new born baby for N250,000. The woman identified as Patience, 39 years and her daughter, Blessing Emmanuel, 22 years were reported to have sold the baby to one Ijeoma Okechukwu at Jakande Estate, Oshodi, Lagos. According to Punchng, the baby was taken from Blessing by Patience, on the day he was born and handed over to the buyer, who was their former neighbor. Blessing then told residents that her baby was dead, but later opened up to a church member, Comfort Ogwuebu, who helped her family with accommodation, that her child was with Okechukwu..
Ogwuebu reportedly alerted policemen from the Zone 2 Police Command, who arrested the suspect and recovered the child. Blessing revealed that she had earlier had a child for her boyfriend, Valentine, who got her pregnant the second time.